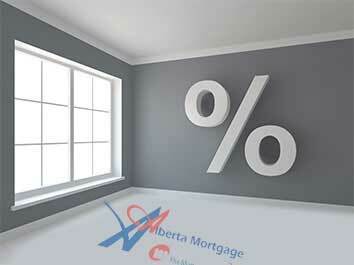 Mortgage Renewal Season is just around the corner. How well prepared are you? In Edmonton, the vast majority of real estate transactions occur during the Spring and Summer months. The weather is nicer so potential home buyers are more active, and homes generally show better with some greenery so sellers are more likely to list their home in the spring and summer. Since most possessions take place on July 1st (the busiest moving day of the year), most mortgage renewal also take place during the month of July. With that date in mind, we could think of none better a time to talk about mortgage renewal then now, just 4 months away mortgage renewal season. The purpose of this article is to provide home owners with a mortgage renewal coming up within the next 6 months with some easy to follow tips for securing the lowest cost mortgage (interest rate, features, compounding, etc) at the time of their mortgage renewal. 1. How happy are you with your current mortgage, mortgage lender, & mortgage broker? The reason why the above listed 3 questions are worth answering is because your answers will help ensure that the mortgage product you select at the time of mortgage renewal most accurately suits your lifestyle. Determining your level of satisfaction with your current mortgage, mortgage lender and mortgage broker is an important first step to take a few months before your mortgage renewal date. If you’ve been happy with all three, the decision is simple – go back to your mortgage broker, and get the process of mortgage renewal started. However, if you have been unhappy with your mortgage, mortgage lender, or mortgage broker, you’ll want to discuss your dissatisfaction with your mortgage broker. 2. What features of your current mortgage have you used in the past 4 years(prepayment, skip-a-payment, fixed/variable, etc)? At the time of mortgage renewal, you have the ability to effectively select any type of mortgage product, and if you don’t know what features of a mortgage are actually most important to you, you could find yourself paying extra for features that are of no value to you. Just like any other consumer product, the more features you select for your mortgage, the most costly it becomes. If you haven’t used any of your prepayment priviliges in 4 years, why pay more to have the option for the next 4 years? Maybe it is worth it, maybe it is not, but without taking the time to evaluate your past behavior, current situation, and near to mid-term plans, you could end up paying for features that you don’t need. 3. What plans do you have for the next 3-5 years? If you’re planning on moving within 2 years, a 5 year closed term mortgage that doesn’t have the ability to be ported might not be the best mortgage product for you. If you’re planning on being in your home for the next 10 years, but are planning on making some serious renovations that could require a mortgage refinance within 4 years, a mortgage that does not provide you with the ability to refinance might not be the right mortgage for you. But, if you expect to be in your home for the next 5 years, and do not foresee any need to refinance, or consolidate debt, maybe going with a bare-bones type mortgage with an ultra low rate might be the lowest cost option for you. No matter what, taking some time to plan our your near to mid-term future will be helpful in securing the best possible mortgage at the time of mortgage renewal. Just like it was important to get yourself pre-approved before purchasing your home, it is also important to meet with your mortgage broker to see what your qualification status is a few months before your mortgage renewal date. Since the time you purchased your home, several things related to your financial situation(income, credit, martial situation, children, etc) could have changed, and those changes could affect your ability to qualify for certain mortgage products available at the time of your mortgage renewal. By meeting with your broker early, you’ll be able to identify areas of your financial situation that need to be strengthened in order for you to be able to qualify for the mortgage renewal product you want. The other benefit of getting in touch with your mortgage broker earlier, rather than later is that in the current mortgage market, there are several time sensitive ‘rate specials’ that you might miss out on by contacting your broker too late. By providing your broker with an adequate amount of lead time, you’ll be able to keep all your options open, and secure a mortgage that will be serve your needs going forward.